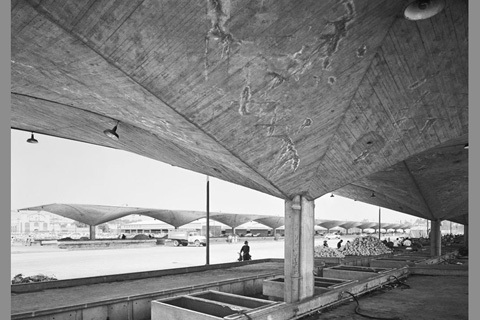 The Miriam and Ira D. Wallach Art Gallery's first exhibition in 2012 offers American audiences, for the first time, a comprehensive look at the architectural career of "the wizard of concrete shells"—Félix Candela. 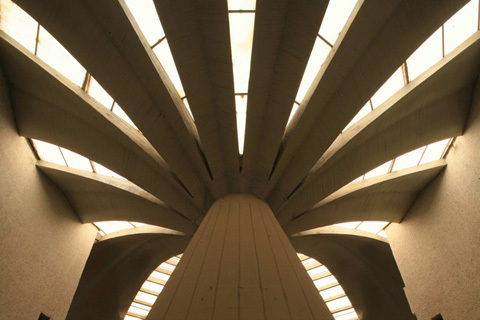 Regarded as one the greatest Spanish-born architects of the 20th century, Candela is celebrated for his feats of architectural engineering that transformed concrete into visual poetry. 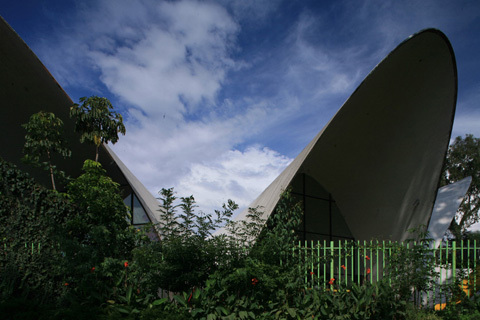 Candela's visionary structural designs featuring curvaceous, thin-shell roofs based on the hyperbolic paraboloid geometric form departed from the dominant linear directives of the International Style. Félix Candela was born in Madrid, Spain in 1910. 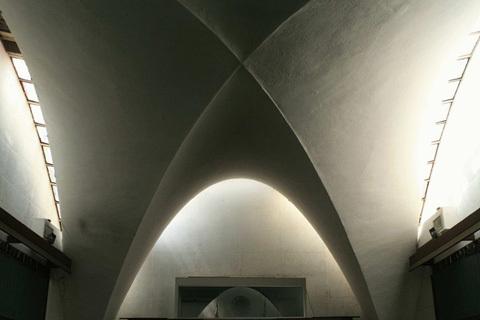 In 1935 he completed his studies in architecture at the Madrid Superior Technical School of Architecture. When the Spanish Civil War erupted, Candela enlisted in the Republican Army where he served as Captain of Engineers until the republican's defeat in 1939. 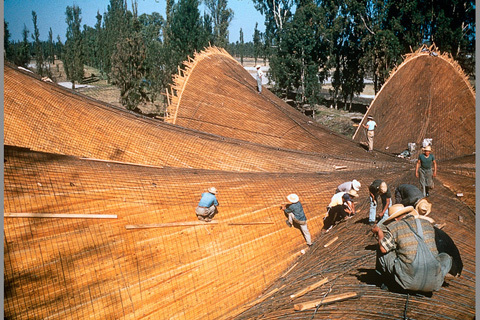 Following the war, Candela was exiled from Spain, and like several other architects of Spanish origin, sought refuge in Mexico, where, in 1950, he founded his company Cubiertas Ala, translated as Wing Roofs. 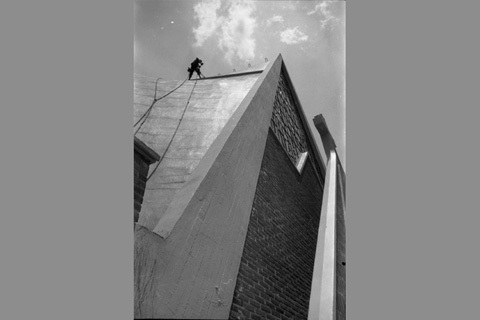 A year later he executed the Pabellón de Rayos Cósmicos, or Cosmic Rays Pavilion, which was his first structure utilizing his signature hyperbolic paraboloid geometry. 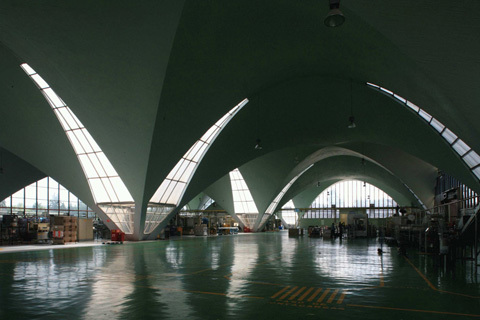 The building began a decade of experimentation with thin-shell construction and the hyperbolic paraboloid form that garnered him international recognition, including the 1961 Auguste Perret Award from the International Union of Architects and a 1961 Gold Medal from the Institute of Structural Engineers. In 1971, Candela immigrated to the United States and accepted a faculty position at the School of Architecture at the University of Illinois. 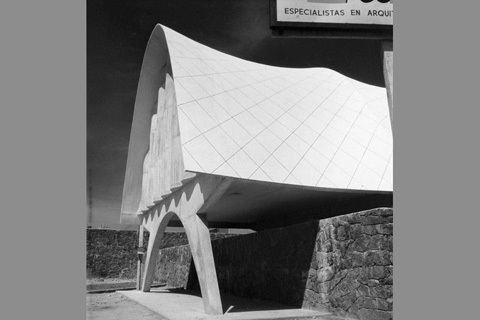 Candela's final project, executed posthumously following his death in 1997 at 88 years of age, was the restaurant at the Valencia Oceanographic Park in Spain. 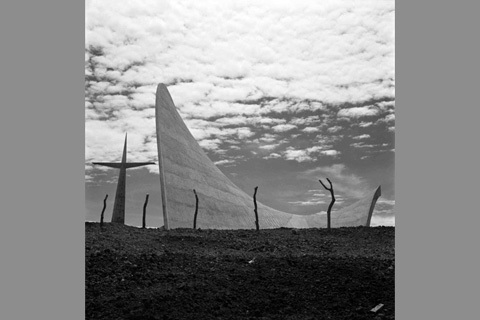 The exhibition at the Wallach Art Gallery is organized around three periods of Candela's career and highlights his vast body of work, including the Cosmic Rays Pavilion and his self-identified favorites—Los Manantiales Restaurant, Chapel Lomas de Cuernavaca, Bacardí Rum Factory, and the Church of Our Lady of the Miraculous Medal. For the exhibition, the curators, Juan Ignacia del Cueto Ruiz-Funes and Angustias Freijo, have brought together twenty-one scaled models, a selection of photographs, a documentary film, and videos and animations of Candela's emblematic work. Together, they offer a comprehensive understanding of the architect's work and the contexts in which it developed. Notable is a selection of original architectural drawings and renderings from the Drawings and Archives Collection at Columbia's Avery Architectural and Fine Arts Library. 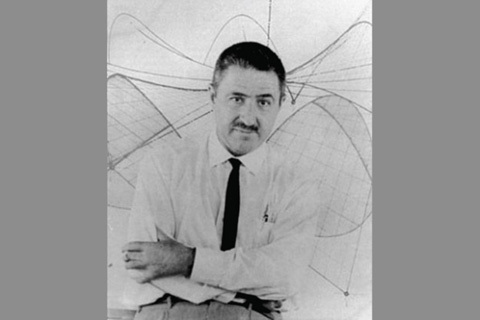 Avery Architectural & Fine Arts Library is home to one of three repositories of archival materials related to the life and career of Félix Candela. The Félix Candela Archive comprises materials related to Candela's personal, professional, and academic lives. The collection contains extensive correspondence with personal friends, clients, and professional and academic colleagues. 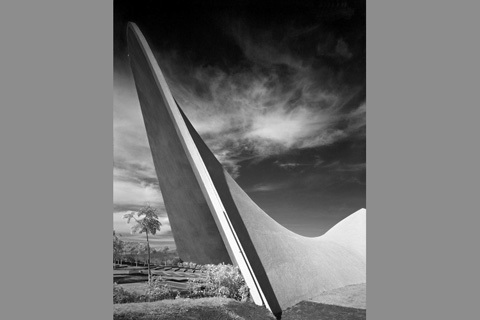 In addition, the collection includes architectural drawings and photographs of his work compiled throughout Candela's professional life, as well as writings by and about Candela. 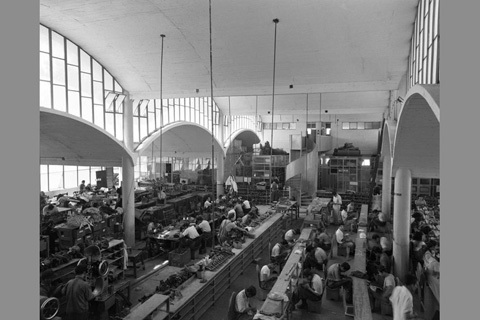 The exhibition Félix Candela was originally presented in 2010 at the Institut Valencià d'Art Modern on the occasion of the centenary celebrations of Candela's birth. It subsequently travelled to the Museo Extermeño de Arte Iberoamericano (MEIAC) of Badajoz, Spain and Museum of Modern Art of México City. The exhibition is organized and circulated by the Acción Cultural Española (AC/E). On February 11, the Wallach Art Gallery, in collaboration with Avery Architectural & Fine Arts Library, will present a symposium on Candela's life and work. The opening keynote address by professor David Billington of Princeton University, co author with Maria Garlock of Felix Candela: Engineer, Builder and Structural Artist, will introduce the life and work of the architect. 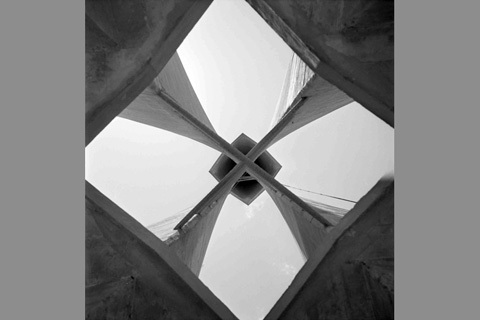 Two thematic panels will explore Candela's legacy within architectural and engineering discourses and the political contexts within which his career developed. Closing remarks by the exhibition's lead curator, Professor Juan Ignacio del Cueto Ruiz-Funes, and a celebratory opening reception in the gallery will end the afternoon. The symposium and reception are free and open to the public.